The writing's on the wall... this is the perfect bundle for Halloween and gamers looking for frights, thrills and all things eerie! 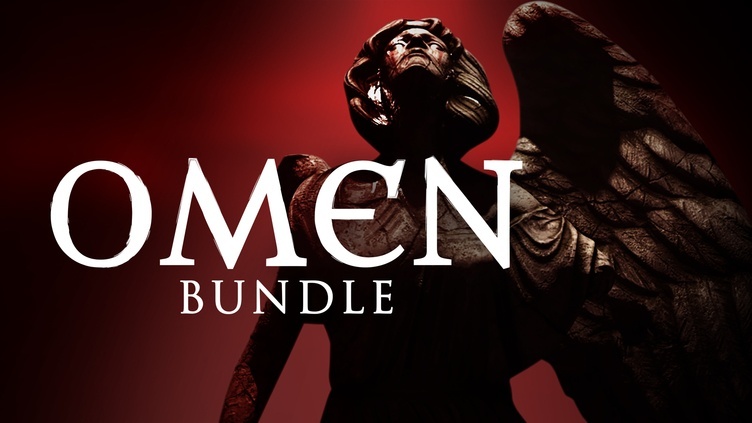 Enjoy 11 Steam games in the spooky Omen Bundle, featuring a vast array of horror and survival adventures. This bundle will have you making your way through a chilling open setting with just a candle to protect you, as well as venturing through procedurally generated levels with AI-driven predators and permadeath at the top of your avoid list. Distraint: Deluxe Edition and Silence of the Sleep - a duo from developer Jesse Makkonen - offer up side-scrolling indie horror with a psychological twist, while Survivalist and I Shall Remain take you into isometric post-apocalyptic worlds filled with monsters and zombies! [Buy] I'll be Damned, this is a good price for these games. [Maybe] I Shall Remain neutral. For now, at least. [Skip] Fanatical, you Betrayer of good unbundled games! Bring those back! Not bad, thanks for the chart! Cheers shakti for another chart. Been busy for you today but this bundle is full of repeats. Only missing Claire so this bundle isn't for me but its a nice bundle if you are missing most of the games. But good games overall yes. Coupon 'SCREAM666' works with this bundle to get another 6.66% off! Own 7/11, so I'll skip. Thanks for all the charts sensualshakti! Thanks for the chart Lilly. I might end up buying that one, horror and RPG i like that mix. Somehow I only have one of these. Not a massive horror fan but will have to seriously consider this! Not bad if you don't already have them! Jesse Makkonen (DISTRAINT: Deluxe Edition and Silence of the Sleep's dev) is at r/GameDeals if you want to ask/say something. Not a bad bundle at all. I'm interested only in Claire (in my wishlist), but nice bundle with a good price! Monstrum is the only one I really want. Can't really justify a purchase for 1 game. It's not a bad bundle though. It's an interesting game but they don't let you set the FOV high enough for my tastes. I already have everything I want from this bundle except Claire, so I'll have to hope I get lucky with trading or with giveaways. =P Thanks for the thread! Nice (re)bundle. Need to think. - worth to buy it for "Monstrum", "I shall remain" and "Claire" or not. Not a terrible bundle. Betrayer was pretty fun and I fell in love with 35MM when I played it (loved the story and locations). I think this is a pretty terrific bundle, and I have all but one of them! No buy. I own them all but Claire. I had like 5 of them in this bundle. But for the others (including 2 that were wishlisted), I'd still say this was nice. My doubles also make for some nice make-people-happy giveaways. Me too. It was still a good deal so I got it. And made giveaways with the doubles. I happened to have 2 of the ones missing wishlisted though.